Courtesy Chevrolet is a third-generation Arizona-family-owned car dealership. For 63 years, they have been committed to strengthening the business community as well as executing changes within their dealership and the local community to become more sustainable. The company was founded by World War II veteran Edward J. Fitzgerald and R. Mitchel McClure, who was the owner at the time in 1955. Together they created Courtesy Chevrolet as a corporation on the outskirts of town in an old Farmhouse on 15th Street and Camelback Road. The Phoenix city limits did not run beyond the Grand Canal in those days. In February of 1969, Fitzgerald purchased McClure’s portion of the business, becoming the sole owner of Courtesy Chevrolet, and then soon included William R. Gruwell as a partner in the firm. Fitzgerald was a man of many talents. Before his passing in 2000, he was a horseman, cattle rancher, and was part of the sheriff’s “mountain posse,” as it was known in Arizona. He was a visionary who could see the upcoming changes and future progress that held opportunities for businesses in Phoenix. He poured all of this drive and vision into the creation of Courtesy Chevrolet. Millie Fitzgerald, Ed Fitzgerald’s wife, designed the now historic Courtesy sign on the back of a napkin. That was when Fitzgerald decided to open a store on Camelback Road, which was one of the most significant non-automotive streets in the United States. This original sign design still towers over Camelback Road today. Mark started working at Courtesy in 1994, and Scott followed in 1996. They are very passionate about giving back to the community and building positive relationships in Arizona because this is where they were born and raised, and where they currently live, work and play. The Courtesy way is to get it done, build trust and loyalty with their customers, and appreciate and value their employees. Courtesy Chevrolet has had many ups and downs in the automotive industry. The 60s were tight and the 70s were worse, with interest rates at 9.9% OAC. The years during the Gulf war were some of the leanest in the industry. Through it all, they expanded into San Diego, California, in 2007; Orange County in 2014; and opened the doors of Courtesy Volvo in 2017. Courtesy has been partnering with General Motors through the years. General Motors made a recent commitment to go to all-electric with their automobiles, creating zero emissions in the near future. Courtesy Chevrolet currently offers the Chevrolet “Volt” and the Chevrolet “Bolt.” The 2017 Bolt EV is an all-electric vehicle with a range of 238 miles on a fully charged nickel-rich lithium-ion battery. General Motors’ goal is to produce 18 new all-electric automobiles straight off of the production line by the year 2023. General Motors is one of the largest auto producers in the auto industry, and they have made a dedicated commitment to drive away from gasoline- and diesel-running vehicles and move towards a green future. Volvo has also made a considerable commitment to producing all-electric running automobiles by the year 2020. 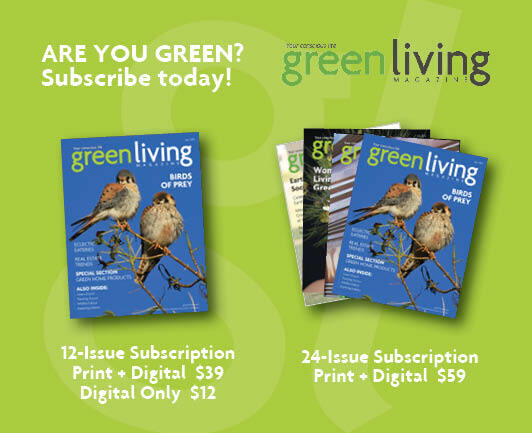 As the publisher and editor-in-chief of Green Living magazine, Dorie Morales turns living green into an art form, fully embracing the idea of living, working and playing green. Her vision of a sustainable future drives the magazine, educating, empowering and inspiring readers to make their own eco-conscious choices for the betterment of the planet.